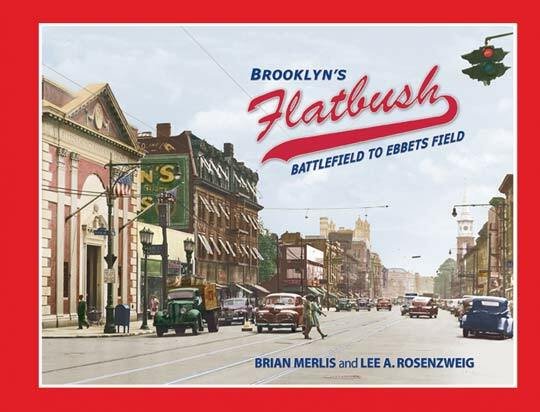 Brooklyn's Flatbush: Battlefield to Ebbets Field chronicles the history of Flatbush from its first settlement until modern times. Beginning as a small 17th century Dutch outpost, this farming community was a staging ground for the American Revolution's Battle of Brooklyn. Over the next two centuries Flatbush transformed itself into one of Brooklyn's most beloved neighborhoods, and became home to Ebbets Field and the Brooklyn Dodgers. Profusely illustrated with maps, illustrations, and hundreds of vintage photographs, Merlis and Rosenzweig take readers on a journey back in time. A MUST for any collector! • Profusely illustrated with HUNDREDS of maps, illustrations, and vintage photographs. A MUST for any collector.